580 Anton, a new upscale apartment community in the coveted Town Center of Costa Mesa offers flawless and elegant living. Experience breathtaking modern architecture, spacious residences, and top of the line finishes, 580 Anton by Legacy Partners is now leasing a mix of studio, one and two-bedroom homes. 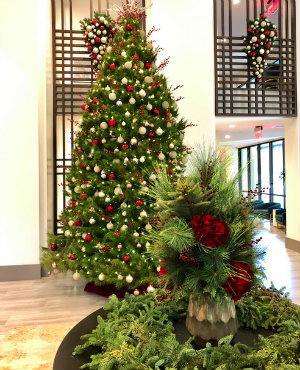 And, it’s open daily for tours from 10 a.m. to 6 p.m.
For a limited time, receive exclusive CENTER CLUB membership plus 1-month free rent on any floor plan if you lease and move in by 12/15/18. Contact 580 Anton at 580anton.com. 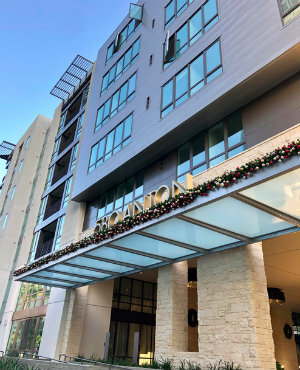 580 Anton, not only offers an impressive living experience, but it’s also offering a holiday cash drawing of a $5,000 gift card to South Coast Plaza to anyone who tours and leases on or before Dec. 15. And, anyone who tours the property on or before Dec. 15 will be entered into a drawing for a $1,000 South Coast Plaza gift card. Winners will be picked at random on Dec. 16. Living at 580 Anton comes complete with valet service from the Avenue of the Arts Hotel. At the relaxing podium balcony, residents can go for a swim in the sparkling resort-inspired pool that overlooks the world-renowned Segerstrom Center for the Arts. Perfect for entertaining guests, outdoor seating areas are equipped with a beautiful water feature and firepit, and a barbecue area boasts luxury seating, wet bar, and TVs. Residents can host a games night in the entertaining clubhouse and unwind in the grand salon, featuring a fireplace and piano. Instead of paying for a gym membership, residents can exercise at the Lakeview fitness center, which features Aktiv Virtual video training on demand. Other convenient amenities include a yoga/dance studio, business center with internet cafe and a pet-friendly grooming salon. The residences feature high-grade vinyl wood plank flooring throughout, along with designer-selected pendant and recessed light fixtures. The gourmet kitchens include stainless steel appliances, premium quartz countertops, a stunning full-height backsplash, and under-cabinet lighting. Homes include air conditioning and heating for complete comfort, and select units boast balconies and private patios to take in beautiful views of the city. Set in the Town Center of Costa Mesa, residents at 580 Anton will have nearby access to daily essentials and services. The beautiful Noguchi Gardens is around the corner, along with the future home of the Orange County Museum of Art. 580 Anton is surrounded by 78 various restaurants and is within walking distance of world-class shopping at South Coast Plaza. Studios start at $2,021, one-bedroom units start at $2,146 and two-bedroom units start at $2,975. To learn more, visit the leasing center or call 844.289.4211. For more information call 844.289.4211, email 580Anton013@myLTSMail.com or visit 580anton.com.